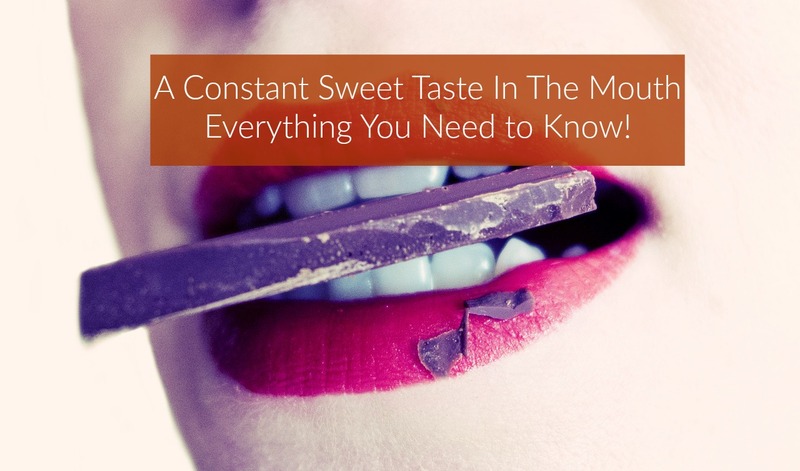 Home » Blog » A Constant Sweet Taste In The Mouth – Everything You Need to Know! A Constant Sweet Taste In The Mouth – Everything You Need to Know! Most people worry when they experience a bitter, metallic or unpleasant taste in their mouth. Any change in gustatory perception and an unexplained taste in the mouth, however, could be a sign of a problem. This applies to experiencing the sweet taste for no reason. When is a sweet taste in the mouth a reason to worry and when is it something that will simply go away on its own? There are several important things to know about the condition and its primary causes. A sweet taste in the mouth is characterized by a constant sensation that’s similar to what people will experience after consuming candy or a sugary drink. People that have had a sweet taste in their mouth say that it’s fruity and potent. This constant sensation isn’t linked to the consumption of foods, it’s simply present at all times. Experiencing sweet taste in the mouth can be quite unsettling. It’s far from a serious problem on its own but a sweet taste in the mouth can interfere with enjoying foods and feel good. If the issue persists for a couple of days, it would be a good idea to see a physician. Several medical conditions could contribute to experiencing a constant sweet taste in the mouth. GERD stands for gastroesophageal reflux disorder. It’s characterized by an acid imbalance in the stomach. People that suffer from GERD will also experience a constant sensation of fullness and bloating, inability to consume certain foods, acid reflux and vomiting. If the sweet taste in the mouth is accompanied by any of the mentioned symptoms, a medical diagnosis will be required. When the body isn’t capable of producing enough insulin, a glucose spike will occur. Diabetes changes the composition of saliva, which leads to a change in taste. Some other accompanying symptoms include constant thirst, neurological disturbances, an increase in appetite and increased urination. Diabetes is a serious medical condition that can be life-threatening. 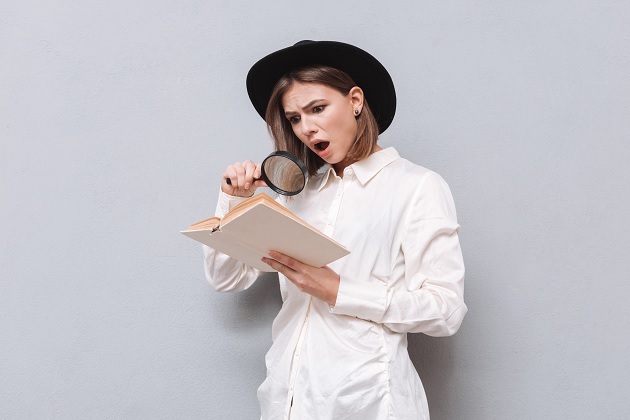 If you’re at a higher risk of developing the condition, you should seek medical attention immediately upon acknowledging the unusual symptoms. Various types of infections could contribute to an unexplained sweet taste in the mouth. Infections are both of viral and bacterial origins. A few viruses have the ability to affect the nerves that are connected to experiencing certain tastes. The example given above explains how nerve damage could change the taste. (5) Nerve damage isn’t always caused by viral activity. Several neurological disorders could contribute to a persistent sweet taste. Usually, when sweet taste in the mouth occurs on its own and disappears in a couple of days, it’s not to be considered a major problem. When it is accompanied by other symptoms, however, the wisest thing to do would be to seek medical attention. The sooner a problem gets diagnosed, the easier the treatment’s going to be. Very often, a metallic taste in the mouth is described as an early sign of pregnancy. It isn’t the only gustatory change, however. These digestive problems often lead to changes in taste. Though the symptom is usually an isolated occurrence that will go away on its own, it’s a good idea to talk to a physician and rule out gestational diabetes mellitus. As the name indicates, this is a type of diabetes that’s diagnosed during pregnancy. Physicians know which medical conditions are most likely to cause a sweet taste in the mouth. They’ll do a thorough physical and order a couple of lab exams to rule out the most prominent conditions. Usually, physicians will check for digestive issues first. These are most common and they typically contribute to an altered taste. If you have diabetes risk factors, your blood glucose levels will be checked out, as well. The treatment for an unpleasant sweet taste in the mouth will depend entirely on the condition that’s causing the symptom. If the sweet taste is an isolated occurrence, your doctor will suggest waiting for the problem to get resolved on its own. The treatment for GERD is complex and it involves the use of antacids to neutralize stomach acid, medications that keep acid production at a healthy level and diet changes. The treatment for type 2 diabetes is insulin therapy, diet changes, regular exercise and regular blood sugar monitoring. 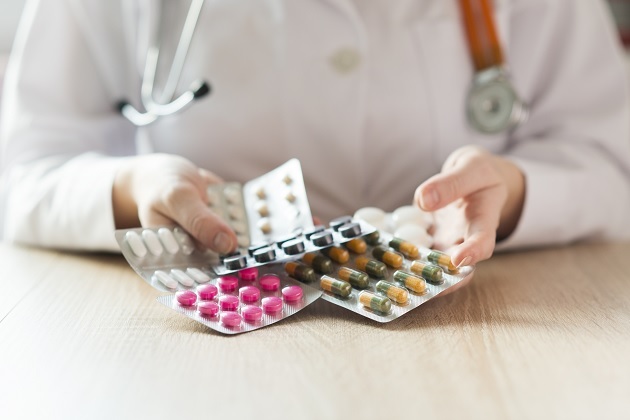 Alternative medicine has a couple of solutions that you can rely on if you’re not suffering from a serious condition like nerve damage or type 2 diabetes. Improving digestion is one of the most important factors for getting rid of any weird taste, including the constant sweetness. You may want to try probiotic supplements or foods rich in probiotics. Probiotic-containing foods include yogurt, kefir, sauerkraut, kimchi and miso soup. Probiotics are beneficial bacteria that maintain balance in the intestines and that contribute to improved digestion. If you’re experiencing a nutritional deficiency, you’ll need to make your diet healthier and more balanced. Such a decision will be tremendously important for improving your overall health and reducing the burden on the gastrointestinal tract. Consume more fresh fruits and veggies. Reduce the intake of processed foods, sugar and unhealthy fats. Keep yourself properly hydrated and you’ll soon notice that your digestive tract is getting regulated and you’re decreasing the prominence of symptoms. Remember that alternative therapies shouldn’t replace the treatment for a medical condition! They can be used as a form of supportive therapy. Always talk to your physician and discuss the alternative therapies that you’re interested in. On occasions, a constant sweet taste in the mouth could be the symptom of a medical condition. If this is the case, it will usually be accompanied by additional symptoms. Don’t hesitate to seek medical attention. Ruling out serious problems will make it easier to deal with the issue. Are you suffering from constant sweet taste in the mouth all the time? Swollen Tonsils But No Pain, What Could Be the Cause?